Soph and I have been meeting up with the boys, going out, walking round our favourite park and going out to Nandos every now and then. Today is the first time we were going to watch them rehearse, as the concert only a week away. I was at Sophie&apos;s again. I&apos;m going to move in with Sophie after the concert. I&apos;m really close to my mum but at 20 it&apos;s not cool to still be living with your mum. I did say she could come and visit and stay round when she wanted. I got a text from Aston. I went to Sophie&apos;s room to find her on her phone. "The boys will be here in 5 minutes so hurry up and get dressed." I said. "What? Your never dressed before me?" Soph said surprised. "How dare you!" I shouted in a jokey way. I made my way to the kitchen and poured some orange juice and sat at the breakfast bar. Suddenly there was a knock at the door. I got up and walked to the door and saw a gorgeous JLS member. "Hey Aston." I smiled as I said that and I gave him a hug. "Hey Maria, you ready?" He asked as I looked over to Soph&apos;s room. "Yeah but Soph is just finishing." I replied. Ast just laughed and said "We&apos;ll wait for you outside." What felt like years later, Soph had finished getting ready we made our way out to see the boys. "Hey! Over here!" shouted Reesh. We turned round to see 4 boys standing next to 2 cars. "Hey guys!" We both called at the same time and giggled. They laughed as they told us that in one car would be Ast, JB and me and in the other car would be Marv, Reesh and Soph. We arrived at the studio and we went over to the chairs at the side of the room. "Hey there guys." said Brian. He is JLS&apos; dance choreographer. "Hey Brian. What are our boys doing today?" I asked. "Well they are going to be perfecting the dance routines also the songs, then later on we are going to do a dress rehearsal." I&apos;m so excited. I&apos;ve never seen rehearsal by the boys especial a dress rehearsal! They all lined up and Brian was at the front dancing while the boys copied him. They are amazing dancers. Then, using plastic bottles with water in them as microphones, they started to put songs with the dances. 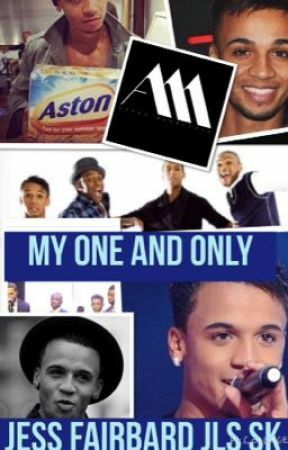 All 4 of them are naturally good at dancing and singing but Aston stood out. It was 12:15 and time for a lunch break. Suddenly, 4 sweaty boys came running over to us. "That was great. You all are talented." I said as they came over and sat with us. At 1:00pm the break was over and the boys went back to practising. I got a text from my mum. As soon as I read the message and looked up to talk to Soph, Aston had taken his top off. I couldn&apos;t help but look at his 6 pack. Soph caught me staring and said "Anything interesting?" I was out of my daydream and said "What... no... nothing." She knew I was lying. She gave a tell me the truth look and I said "Ok. I was looking at Aston." "Oh." she said looking over at him. "I didn&apos;t notice he had no top on." I continued watching Aston as he danced and belted out the longest and highest notes I had ever heard. At 5:30pm they had a small break before getting ready for the dress rehearsal. Ast still had no top on and he noticed me looking at him. He started to walk over to me. I smiled as he sat next to me. "Hey." he said with a smile. I was so nervous. The most gorgeous person ever was sitting right next to me with no top on. "Hey. You were all great." I said returning the smile. Poor Ast looked worn out. "Thanks. After the dress rehearsal do you want me to teach you one of our dances?" He asked gazing into my eyes as I gazed into his dark chocolate eyes. "I would love to!" I said excited. He stood up and got a towel and dried his face and body from the sweat from all the work he had done. He was so gorgeous, standing there, stroking the towel across his 6 pack. He smiled at me and walked off to get his clothes from the room next door. Soph had gone to the toilet but came into the room smiling. "Aw. Does Maria love Aston?" She teased. "Shut up." I said. Thank goodness no one was in the room. They had all gone to the costume room. "Aston and Maria sitting in a tree K-I-S-S-I-N-G!" She was getting on my nerves. "Ok yes I do. Don&apos;t tell anyone." I admitted. "What are friends for? I think he likes you." she replied. The boys came back into the room in their first costume. It was casual and they all had one thing on that was checkered. I can&apos;t wait to watch it!